CIU is making way for Monticello Road improvements. 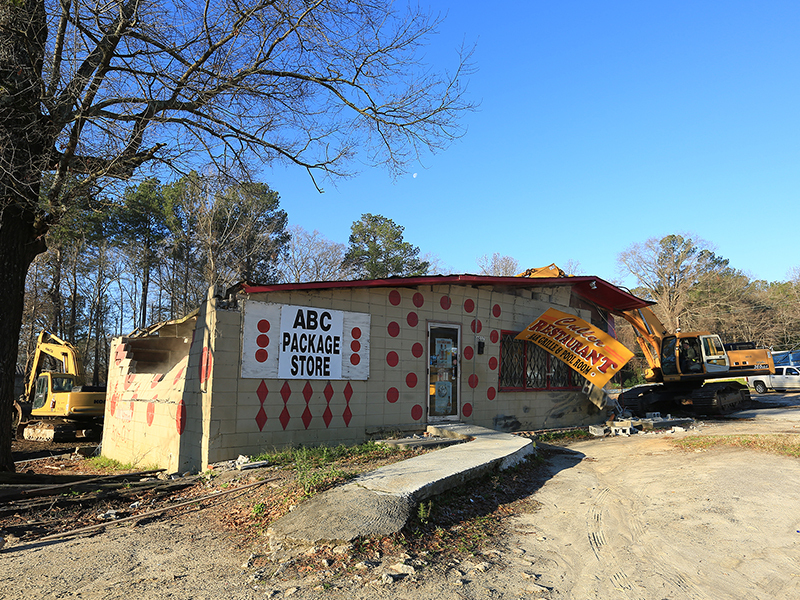 The restaurant and bar is one of seven properties purchased by CIU along Monticello Road in an effort to clean up the community and spur economic development. Several community leaders are praying and discussing ways to upgrade the Monticello Road corridor. Leading the sessions are The Rev. Andre Melvin, the pastor of Temple Zion Baptist Church, and Special Assistant to the CIU President Dr. Andre Rogers, a CIU professor of Church Ministry. As the team met and prayed, God began helping them secure the properties. Columbia International University ranks #1 among colleges and universities in South Carolina by BestColleges.com. Excitement is growing on campus with the new $20 million William H. Jones Global Business & IT Center and CIU’s first baseball program. Request information on enrollment or call (800) 777-2227, ext. 5024.